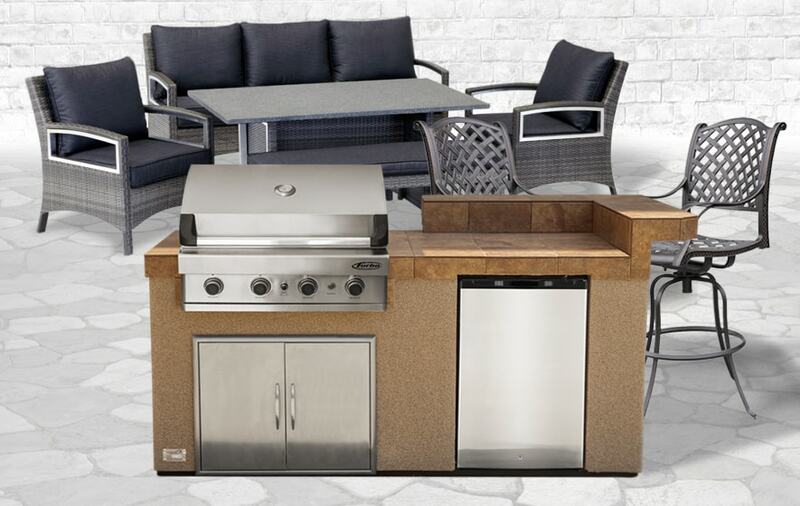 Completely transform your backyard with a Island and Sofa-Dining Set for only $4999. Island comes with 4-Burner Turbo Gas Grill and Built-in Refrigerator. Sofa-Dining set comes with Table, Sofa, Bench and 2 Chairs. This is a limited time offer and only available in our stores.